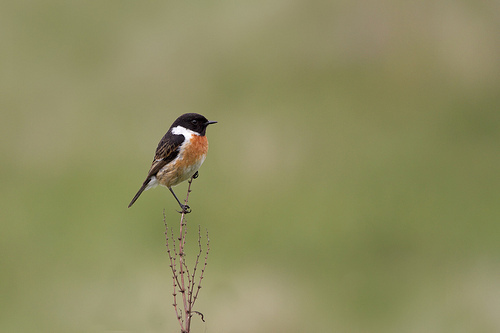 The Stonechat is known for the fierce defence of its nest. If you come too close, a lot of chatter is aimed at your head. The species is somewhat similar to a Whinchat, but Stonechats are more brightly coloured, with a black head and an orange breast. 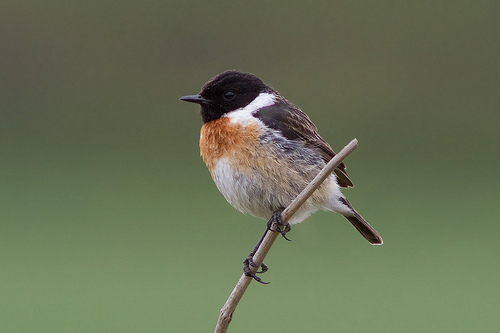 The Stonechat has a black head and a dark tail.